Vision Forum arranges international meetings in Europe, Asia, the Middle East and South America. 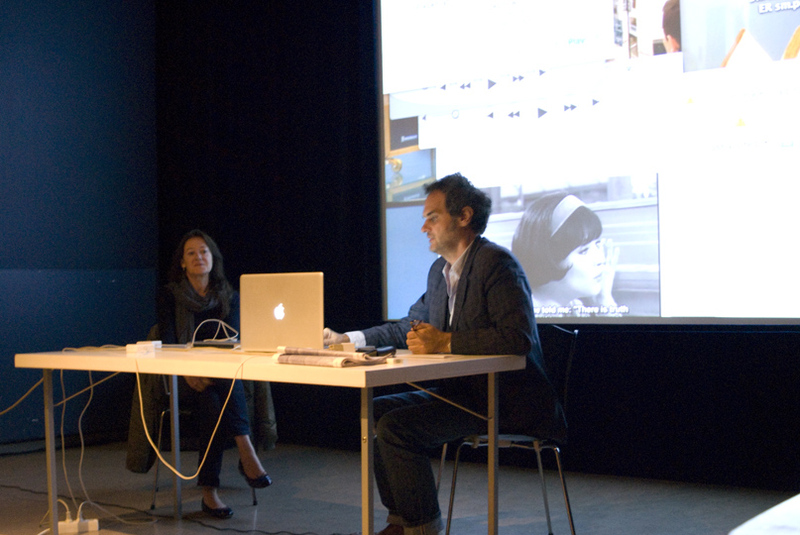 These are predominantly organised within research groups such as Ouunpo, Speech & What Archive and La Durée and have been carried out in collaboration with art institutions like Tate Britain and Tate Modern, in London; MACRO in Rome; Ullens Centre for Contemporary Art and Rockbund Art Museum in China; Palais de Tokyo and CNEAI in Paris; Fundação Serralves in Porto; Mori Art Musuem in Tokyo and academic institutions like Max Planck Institute in Germany and Holland; Karolinska Institutet in Stockholm and CCA in San Francisco. Vision Forum also builds interface with its audience using various media. We organise international meetings in collaboration with Östsam and KSM at Linköpings universitet twice a year. These allow the region of Östergötland to take part of our research. These meetings are collaborations with regional institutions and individuals. We have worked with Norrköpings konstmuseum, Arbetets museum, Länsmuseet, Passagen, Visualisation Center C and many more. Is Misunderstanding Misunderstood, 3rd Ghetto Bienniale, Port-au-Prince, Haiti. Vision Forum Autumn Meeting 2013, Norrköpings konstmuseum, CNEMA, Visualiseringscenter C and public spaces in Norrköping and Söderköping. OuUnPo Japan, Godzilla and the Phoenix, Mori Art Museum, Spiral, Bankart 1929 and many more venues in Tokyo and Yokohama. Temporality and Dis-Location of Self, four workshops in around Stockholm, Botkyrka konsthall, Hallwylska palatset and various public locations. Vision Forum Spring Meeting 2013, Linköpings Universitet. OuUnPo Lebanon "QUANTUM FLUCTUATIONS OF A SYNECDOCHIC UNIVERSE", Ashkal Alwan, Beirut Art Center, 98Weeks, Musée National de Beyrouth, UMAM Research and Documentation Centre and Batroun Projects. Vision Forum Spring Meeting 2012, Norrköpings konstmuseum, Verkstad, Norrköping and public venues in Skärblacka. Ouunpo-rto, Culturgest, Casa de Musica, Fundação Serralves and other institutions in Porto, Portugal. Think Again, Mingshen Museum, Rockbund Art Museum, FCAC, 2666 Library, Shanghai, China.